The Orbit IP from Gemini 2000 is an Ethernet-based 13.56 MHz smartcard reader that supports NFC as well as other contactless applications. The reader features a PoE interface (Power-over-Ethernet), which enables both power and communications to run through standard LAN cables. Designed to utilise existing infrastructure, the Orbit IP offers an out-of-the-box solution that can be integrated into any computer network through HTTP without the need for a development kit. This easy-to-program reader offers built-in TCP/IP network connectivity and runs as a standard HTTP web client. Ideal for various application areas including attendance monitoring, registration and access control, the Orbit IP scans NFC and contactless smartcards and transfers any data directly to a web server. 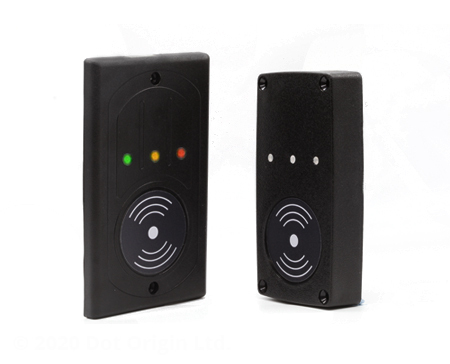 Features 3 LED status indicators as well as a built-in beeper. Designed to mount directly onto a 2-gang UK electrical back box or panel with similar cut-out.